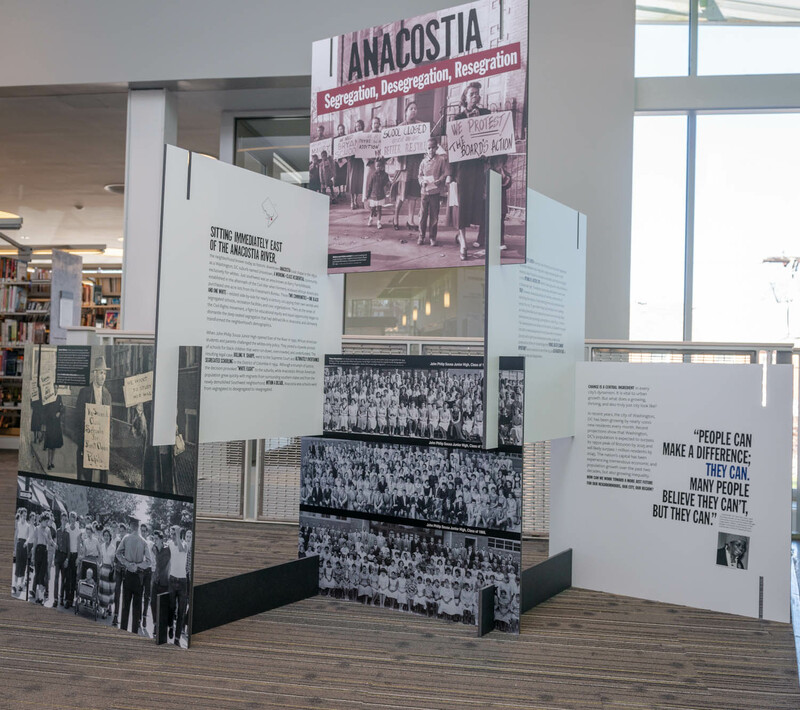 Through a unique partnership with the DC Public Library, the Smithsonian’s Anacostia Community Museum has opened mini-satellite versions of its groundbreaking exhibition, “A Right to the City,” in libraries located in the neighborhoods profiled in the museum’s main gallery presentation. 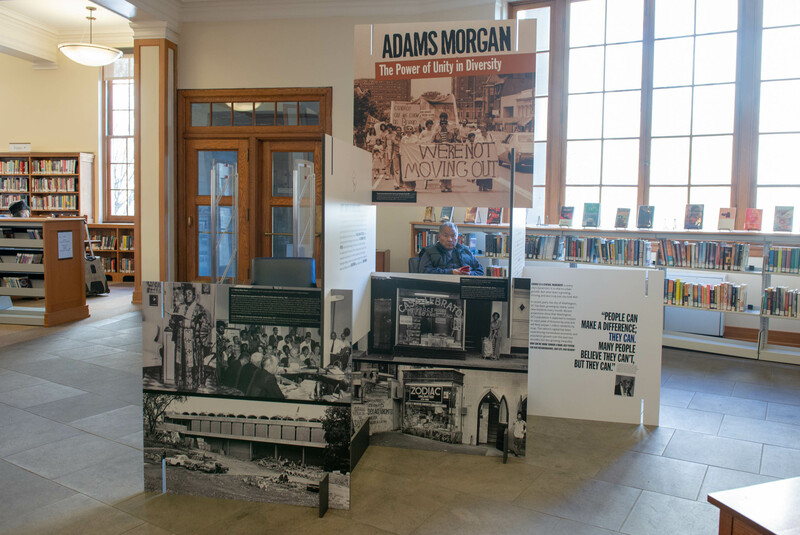 The museum has launched the initiative “Offsite and in the City” with the Library and other organizations to provide continuing outreach during the museum’s temporary closure for renovations, expected to last through mid-October. 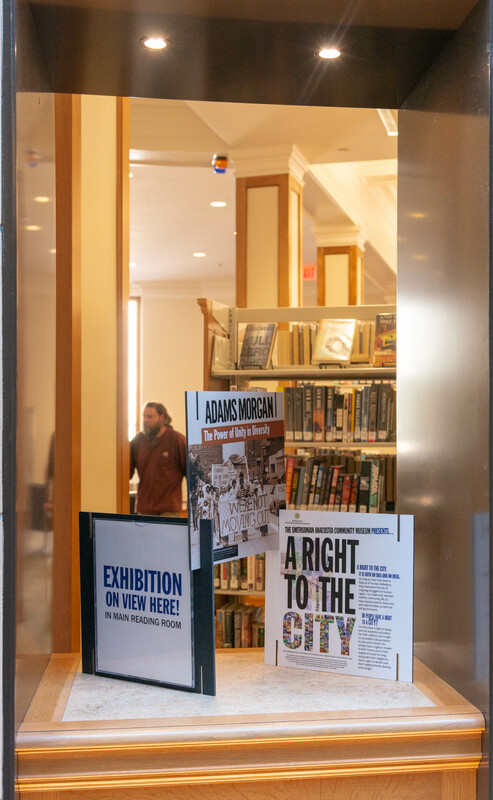 The satellite exhibits, based on the Adams Morgan, Anacostia, Brookland and Shaw sections of “A Right to the City,” are currently on view during regular library hours at the following locations: Mt. Pleasant, 3160 16th St. NW; Anacostia, 1800 Good Hope Rd. SE; Woodridge, 1801 Hamlin St. NE; and Shaw, 1630 7th St. NW. The Southwest exhibit will open later in the year in tandem with the establishment of the library’s interim location in that neighborhood. The Chinatown satellite exhibit will be located at a non-library site to be announced. 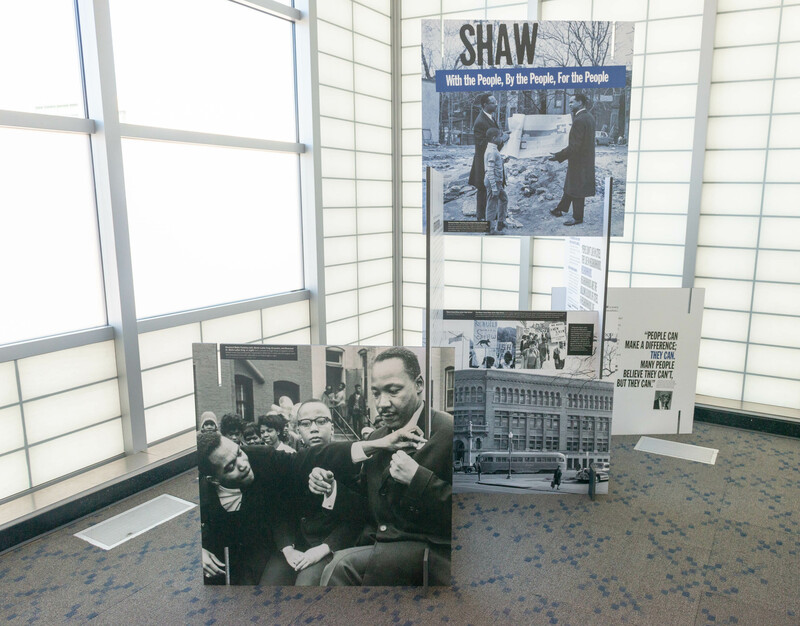 Community-specific public programs generated by the museum and the DC Library to complement the satellite exhibits are featured at the libraries and other venues. The Library also sees the museum as a natural educational partner. 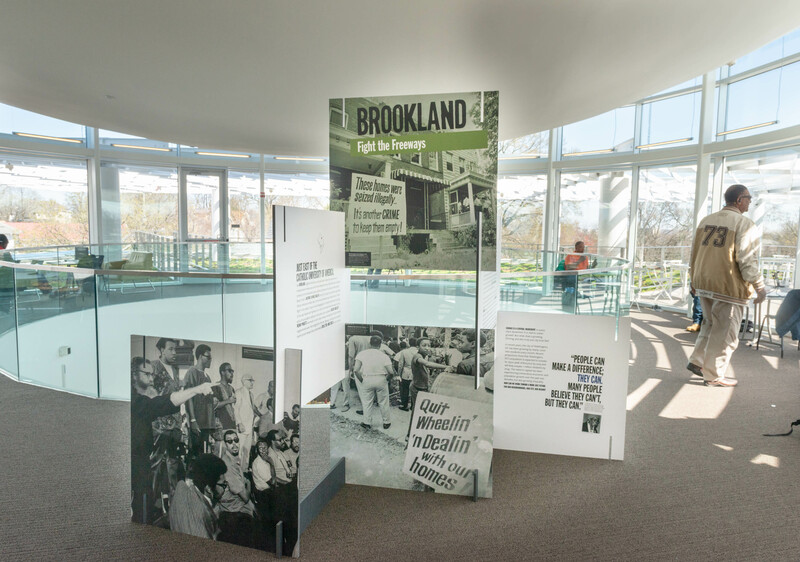 It is leveraging many of its relationships, programs and resources to enhance the satellite exhibit programming and empower residents to preserve their personal histories as part of the larger neighborhood narrative. 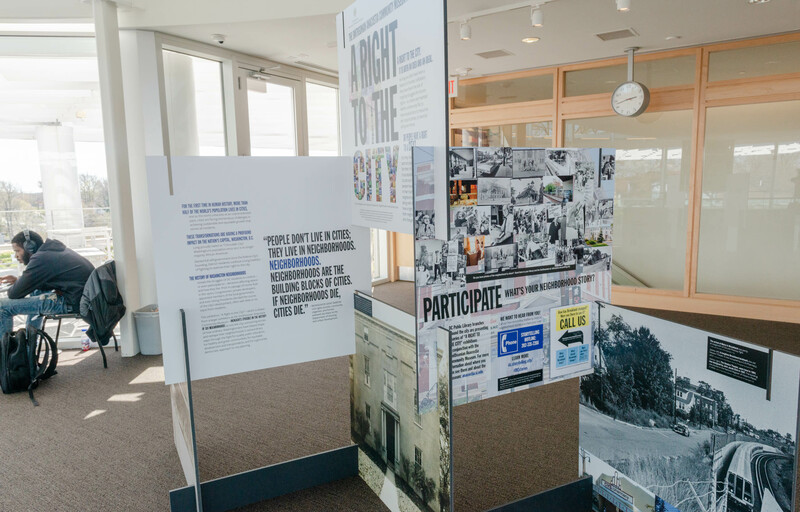 The Busboys and Poets restaurant group, another “Offsite and in the City” partner, is hosting “A Right to the City Conversations Series,” a group of programs highlighting the satellite exhibit content at their locations nearby. 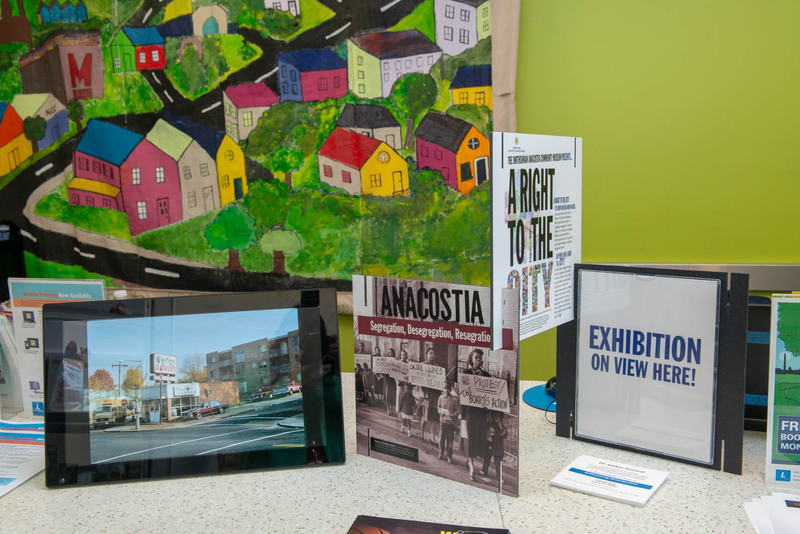 The first, a panel discussion entitled “Housing Rights in DC: Connecting Past and Present Struggles,” takes place Wednesday, April 17 from 6:00 – 8:00 p.m. at the newly opened Anacostia restaurant at 2003 Martin Luther King Jr. Ave. SE. The museum has also partnered with the American University School of Communication to develop the DC Storytelling System, which features a telephone hotline—(202) 335-7288—that allows listeners to hear oral history excerpts from the main exhibition and record their own personal stories. In the coming months a fourth partner, Martha’s Table, will host programs developed collaboratively with the museum on urban gardening. Additional public programs exploring urban issues and community arts and culture will take place in affiliation with Smithsonian units and other organizations. Programming support is provided in part by the D.C. Commission on the Arts and Humanities, an agency supported in part by the National Endowment for the Arts. 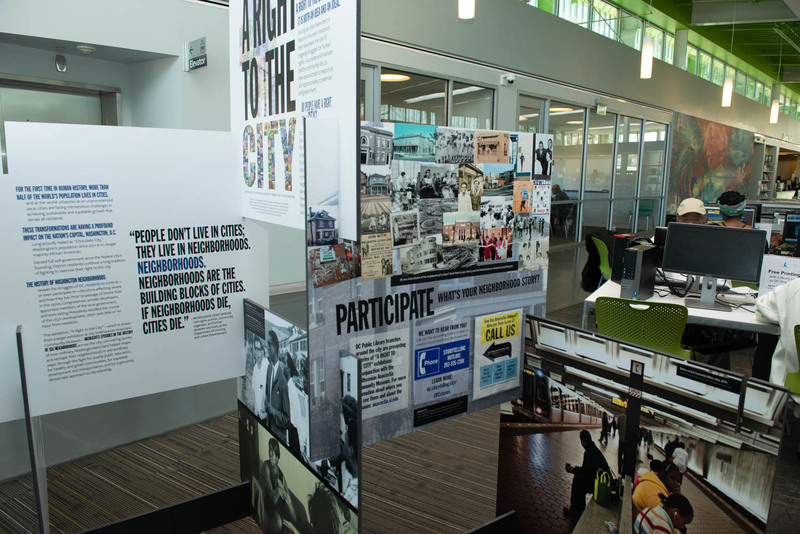 Established in 1967, the Anacostia Community Museum examines the impact of contemporary social issues on urban communities. For general information, call (202) 633-4820; for program information, call (202) 633-4844 or visit http://anacostia.si.edu. Follow us on Facebook, Instagram and Twitter. 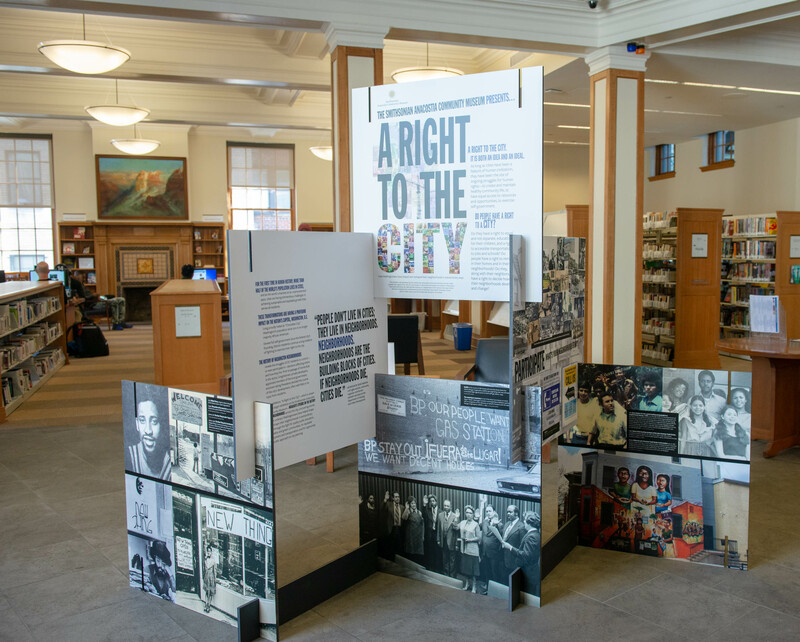 The District of Columbia Public Library provides environments that invite reading, learning and community discussion and equips people to learn all their lives to embrace diversity and to build a thriving city. Learn more at dclibrary.org. Note to Photo Editor: For images, please visit http://anacostia.si.edu/newsroom.